A pair of journalists sows their gardening expertise online. It’s been said that all politics is local. Same goes for gardening. That’s why two former Sacramento Bee writers have launched a blog focused on providing helpful advice specific to gardening in the Sacramento region. 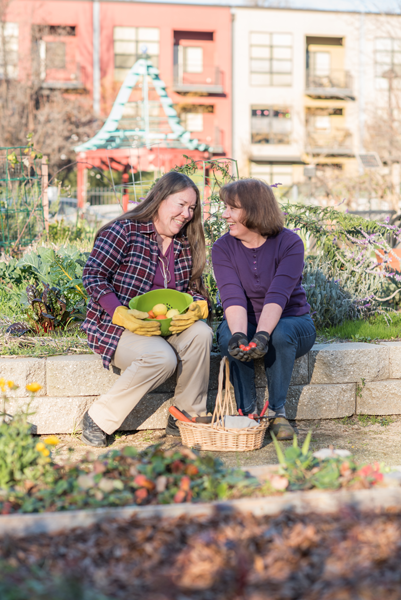 “There are no other comparable resources for current garden news on a daily basis,” says Debbie Arrington, who founded the blog, Sacramento Digs Gardening, with her former colleague Kathy Morrison. Both women had written for The Bee for about 20 years when the paper curtailed its home-and-garden coverage, leaving local gardeners wanting for topical gardening stories. “We just feel that gardening is local and that gap needed to be filled,” explains Morrison. In addition to daily posts on subjects like pest management and weather conditions, there are also helpful garden checklists, a robust events calendar and weekly recipes made with produce from the writers’ own backyard and community garden plots. Readers can read articles and sign up for the daily newsletter at sacdigsgardening.blogspot.com.